"I now average an A in all my studies." Many organizations provide child sponsorship programs. 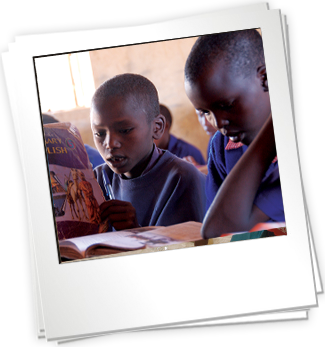 AfricaHope facilitates the sponsorship of entire schools in order to improve the performance and standards of many students. Sometimes this means buying school supplies, making renovations to the facilities, hiring additional teachers, or finding ways to motivate students. Whatever it takes, we willingly provide. Over the past four years, the results continue to be highly encouraging. Regularly, students raise their average grade from a D to a B.